Dr. Mary Conway Dato-on is a Professor of International Business and Social Entrepreneurship at Rollins College, Crummer Graduate School of Business. As the Faculty Director for the Social Innovation and Entrepreneurship Hub on campus, Mary also serves as the Change Leader for the Ashoka U Changemaker designation at Rollins. For 2013-2014 she received a Fulbright Garcia-Robles Scholarship to study Social Entrepreneurship in the Mexican Context. During this year she collaborated with IPADE (Instituto Pan Americano de Alta Dirección de Empresas) Business School as a visiting professor. Additional work experience includes corporate positions in the Philippines, Japan and the USA, as well as teaching assignments in Denmark, Spain, Japan, and China. Mary was part of the core team that developed the Global Links Program – a public private partnership with Tupperware Brands and the U.S. Department of State under the Ambassador-at-Large for Global Women’s Issues, for which she serves as Faculty Mentor. She was the inaugural Director of the International Business Center at Northern Kentucky University. 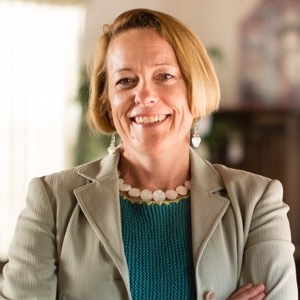 Mary earned her Ph.D. in Marketing from University of Kentucky, her Masters in International Marketing and Management from Denver University, and her BA in International Studies and Spanish from Bradley University. Mary’s publishing profile includes a book, numerous journal articles, book chapters, several cases, and conference proceedings on social entrepreneurship, nonprofit branding, social marketing, cross-cultural consumer behavior, as well as gender and ethics in marketing. Her research has appeared in The Journal of Business Ethics, Social Entrepreneurship Journal, the Journal of Social Enterprise, The Business Journal of Hispanic Research, Journal of Developmental Entrepreneurship, Journal of Nonprofit and Voluntary Sector Marketing, International Journal of Shopping Center Research, Psychology and Marketing Journal, Journal of Marketing Theory and Practice, Journal of Business-to-Business Marketing, among others. Her research was recognized with three Best Paper Awards. To serve the community, Mary is the immediate past-President for Ten Thousand Villages in Winter Park, FL Board of Directors and a Board Member for the Winter Park Institute (WPI). She also donates her time to the Edyth Bush Institute of Philanthropy and Nonprofit Leadership at Rollins by leading seminars as well as conducting consulting and research projects in nonprofit marketing and branding. To serve her profession she regularly reviews for academic publications, acts as track chairs for conferences, and edits conference proceedings.